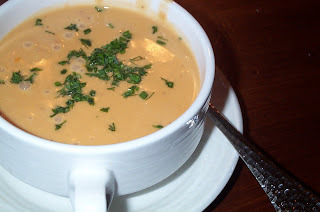 Lauren had an appetizer of Fried Green Tomato's and the house made Lobster Bisque as her meal. 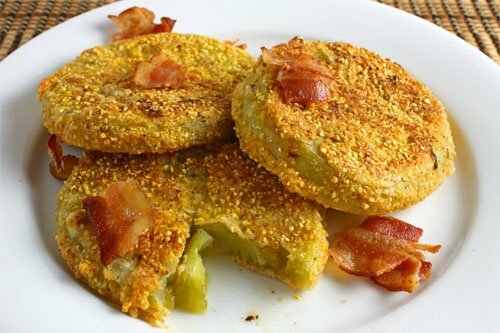 She has never had a Fried Green Tomato so this was a neat experience for her. She loved them. I tried her Lobster Bisque and it was delicious. Everything it should be, rich and creamtastic! 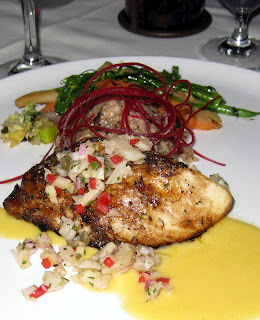 Scott ordered the Crab Cakes and I ordered the Daily Fish Special - Rainbow Trout. We split our meals in half so we both could experience each others dish. The crab cake really wasn't that good. In fact it was a bummer, too mushy. The trout was great, a touch salty but that has always been ok in my book. I enjoyed the trout very much, good work Lucile's. A cancelled flight, redirection from Denver to Phoenix, trying to get through DFW, finding a rental car, driving through the rain (while booking a hotel room on my cell) to the Will Rogers Coliseum made me one exhausted girl. What could make me feel better and refreshed? Mexican food of course. 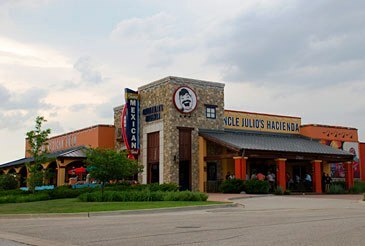 Uncle Julio's was just the place. Located off Camp Bowie we had a special celebration! Lauren's 21st birthday!! 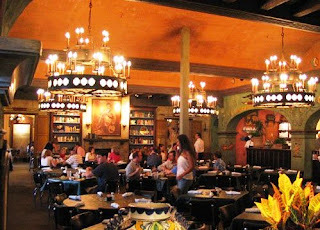 The restaurant was beautiful, just the cantina look I love. A Margarita for the Birthday girl and myself. Scott took the reins and ordered the queso. The chips and salsa alone were completely fabulous. The chips and salsa were served warm. I love this concept, seemed to intensify the flavor of the salsa. 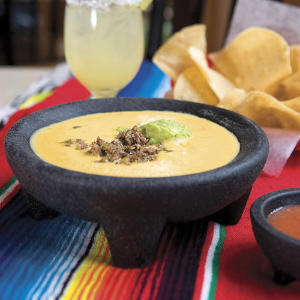 The queso was delicious, melted cheese is pretty much heaven in my book. 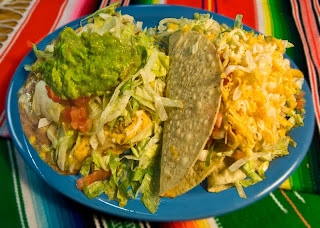 Scott ordered the Beef and Chicken Crispy Tacos, which is also known as a #2 Juanita's Platter. He seemed to really enjoy it. In fact, he said he was stuffed at the end of his meal - that usually means that the food was delish! Lauren ordered the Fish Taco's I believe. She didn't complain one bit! You can probably tell we were pretty much happy campers at this point! Surprise! Lauren's Happy Birthday dessert. They had a candle lit and everything. We started to sing, Lauren started blushing and so we just dug into the Sopapillas. 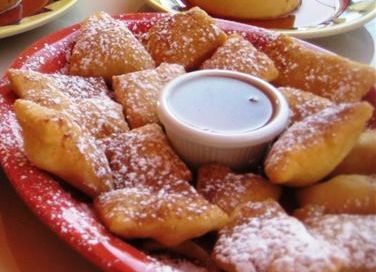 I have never had a Sopapilla before, they are puffed Mexican pastries sprinkled with cinnamon and powdered sugar. The dipping sauce in the middle was honey. We were just so full. Early 1800's German settlers, who helped develop the Hill Country of South Texas, also recreated their beloved "hoffbraus" or "beer gardens" where local townspeople, farmers and ranchers gathered to enjoy hearty meals and brewed beverages. 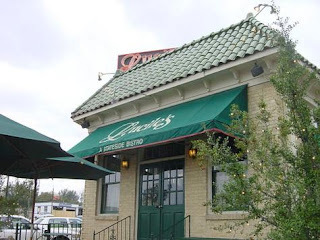 This family institution has been opened since 1978. A hungry Lauren, Scott and Melissa Good Taste were anxious to see what this beer garden, or hoffbrau, had in store for them! A 15 minute wait lead us to a seat at the bar. Scott asked every bartender we encountered to please check Lauren's I.D. It was kind of the running joke all week. Brau Chips, my newest addiction. They are made to order so they come out smokin' hot. 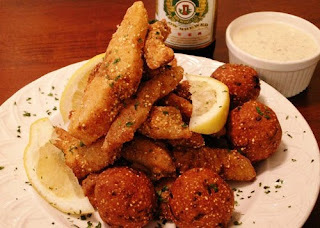 They are served with ranch dipping sauce. Fat on fat, super healthy! Speaking of super healthy, this is my order of the Fried Catfish and Hush Puppies. 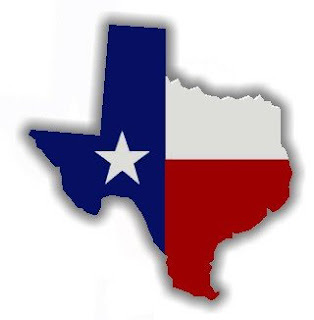 I was told I couldn't leave Texas without eating catfish, so I got it out of the way early. It was everything deep fried fish should be - delicious. The puppies were tasty too. 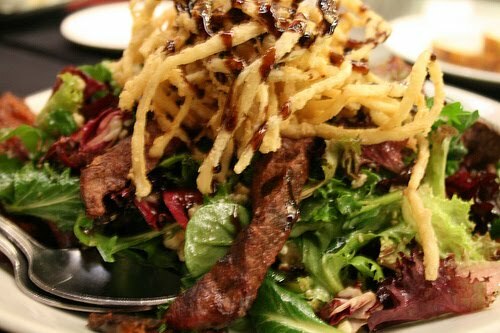 Scott was being a healthy eater and ordered a Steak Salad. 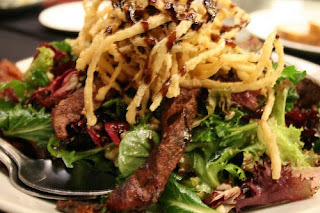 Top sirloin steak on fresh greens with bacon, egg, mixed cheese and tomato topped with crispy onion strings. He seemed to really enjoy his salad, it is something he usually always orders here. Miss Lauren got her protein on and ordered a steak. I can't remember what is was but she was a good girl and just had the vegetables on the side. The steak was ordered Medium Rare and I remember it being pretty rare, better than too done. It looked tasty though. 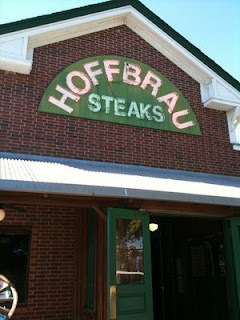 Throughout the show week we went back to the Hoffbrau and had lunch. 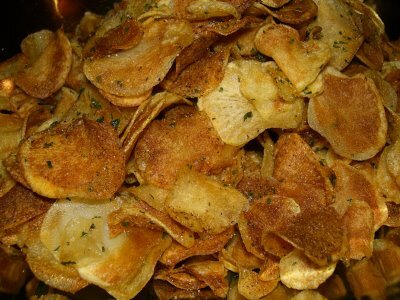 You better believe you ordered those Brau chips again! I had soup and the other healthy soldiers had salad. 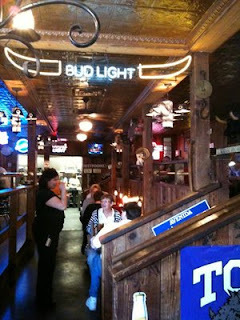 I enjoyed this restaurant because it seemed to be a destination for families. Locals seemed to gather in their sports apparel and enjoy spending time there. We had fabulous waitresses each time we went, it just was a pleasant experience. I will return I am sure, so keep those Brau chips on the menu please! So, when driving to my cabin you drive through Oakdale. Oakdale holds many memories, mostly from high school rodeo's. Oakdale is the "Cowboy Capital of the World" just so you know... Welcome Cafe Bravo. These are the chips and salsa that we ate for about 30 minutes or so. First in a room that was air conditioned to the point of submission. Ok, ok we will eat in the bar!! So we moved. The bar was warmer, I ate more salsa to increase my body temperature. 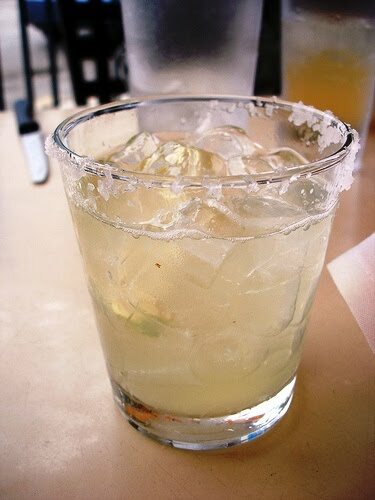 And got another Margarita too. Anything to warm a girl up! 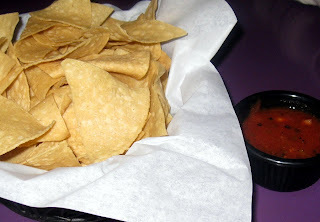 But, kuddos to Cafe Bravo to having delicious chips and salsa. 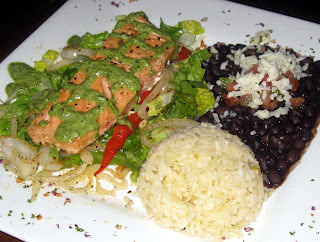 This is the Chimichurri Salmon. Blah! The salmon was dry. The black beans and white rice also did nothing to increase the flavor of this dish. Very blah. Maybe dump your salsa on the salmon instead, because it is very delicious! This is my order: Crab Enchiladas, I wanted it to be good. A white sauce filled with the good stuff. But, no... It was crab from a can! 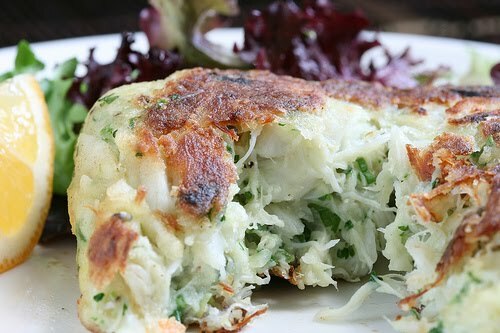 I have very lively taste buds, they told me that crab came from the ocean a VERY long time ago. 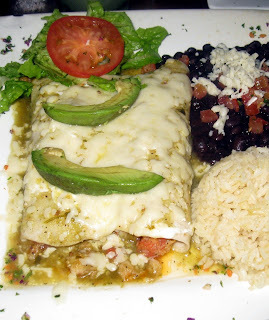 I mentioned the black beans and white rice above, but I am going to say it again. 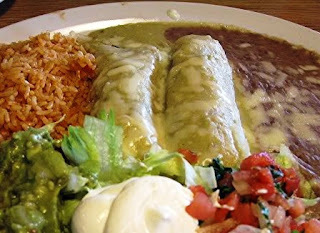 Just give us refried beans, we love the stuff - thanks. 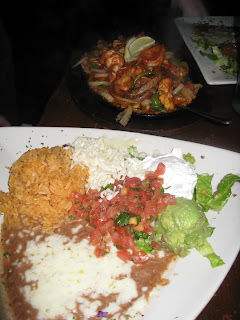 This photo was the Combination Fajitas - served with 3 mini flour tortillas. Really? All this food and only 3 baby sized wraps? Yes, really. At least the refried beans with Spanish rice looked tasty. I was a tad jealous. Ok, here is my beef. 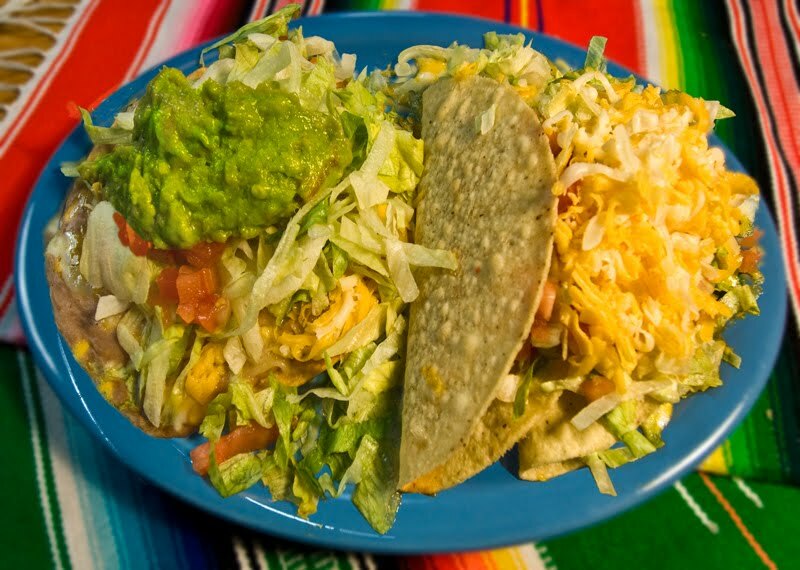 I love Mexican food and will brag on any place that serves it. This place had tasty chips and salsa - margaritas too. But, the service is a bit questionable. I am a twenty something girl so I got the bare minimum of service. The waitresses were only on the look out for potiential dates! If I brought my blue-eyed brother we would have been served up a storm! Can I have a napkin? Maybe another glass of water? "Ok, take your time... I know there is a good looking boy over there..." I mean really?! So that is Cafe Bravo. Enough said. 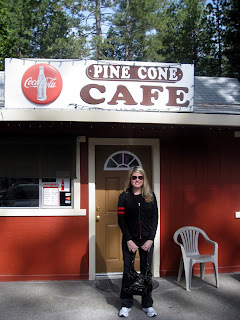 I have done quiet a bit of research on places to dine in Tuolumne County. 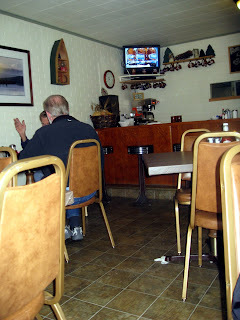 There are a lot of little cafes, diners and fast food restaurants. The Seven Sisters Restaurant located inside the Black Oak Casino was one that has received rave reviews and seems to be the best place within the area. They have a bread girl who comes around and serve slices of bread, our girl was Olivia. She was nice. 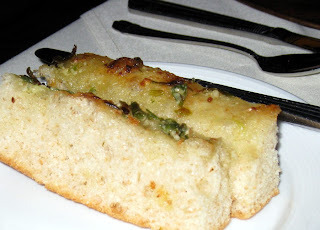 The options were sourdough, olive or foccacia. There was a balsamic vinegar dipping sauce served with the bread. It was very pungent! 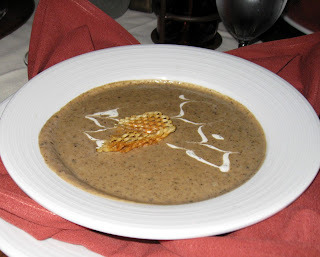 The Wild Mushroom Soup was delicious! My favorite part of the meal. Very nutty. 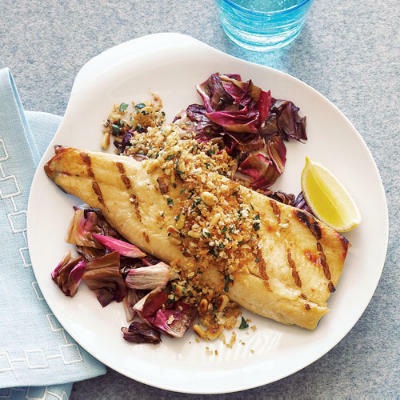 Wahoo fish from Hawaii. It was very good, my one complaint was the portion size. It was tiny! I was starving! The rice served with the dish was ok. Kind of tasted they made it possibly the day before and just reheated it. 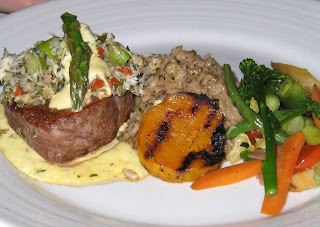 Filet Mignon topped with crab served with rice and butternut squash. It sounds fabulous right? 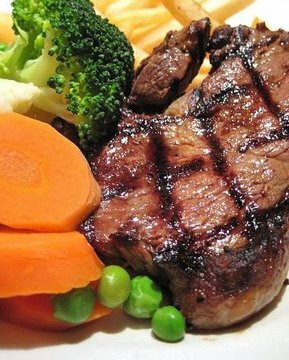 The steak came out overcooked and was sent back once, and it was brought back overcooked again! Aye yi yi. The crab didn't taste like crab, in fact I am not sure it even had a taste. I tried a bite of the butternut squash and it was delicious. 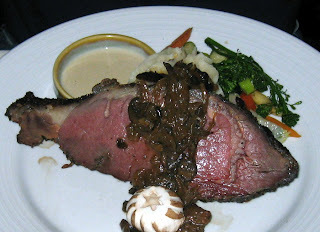 One of the specials of the evening: Buffalo Prime Rib. It was tasty, A very large portion. The cheesy dipping sauce was interesting. I think I would have just preferred horseradish though. The Seven Sister's Restaurant was really supposed to impress me, knock my socks off! But, sadly it didn't. 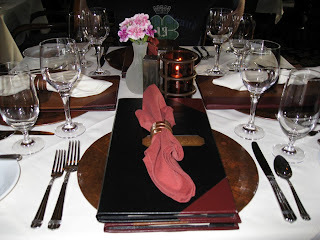 The atmosphere was beautiful, we had a great table. Had a nice glass of Wildhorse Pinot Noir and finished with tasty cappachinos, doesn't all sound so lovely? I don't think the restaurant lived up to their online reputation. Would I return? Probably if I won big down below in the casino and didn't mind dropping some dough on an average meal. Have you been to Seven Sisters? 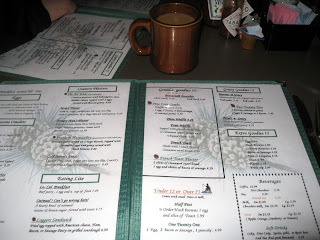 Mi Wuk doesn't have much but, it does have a fabulous breakfast joint and it is the Pine Cone Cafe. 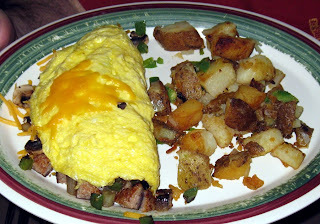 And I was craving some major breakfast which is odd, because I don't usually get too hungry until lunch time. Inside the tiny cafe. Room for 25 people or so. Breakfast or Lunch - your pick. The Coffee pictured was just amazing. The kind that is so good that you have at least 4 cups without even realizing the amount of caffeine that you just ingested. 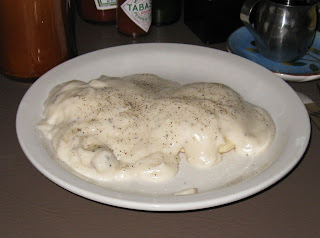 My order of Biscuits and Gravy - I know it wasn't the most healthy item on the menu but breakfast is a special treat to me. This was a treat too! The gravy was terrific and biscuit made in house. 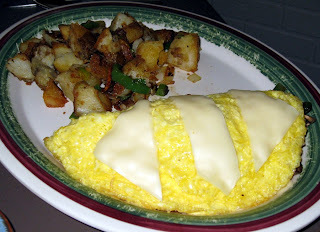 I think this is a Veggie Omelet. No complaints were made. The country potatoes were made to order: extra crispy, I like it! 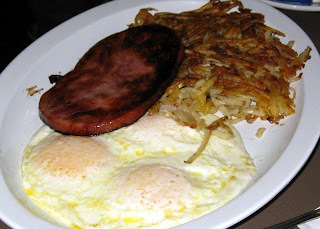 Ham and Eggs served with Hash Browns. A whole lot of food, not much of a dent made in this one! This was a table order and everyone enjoyed them. 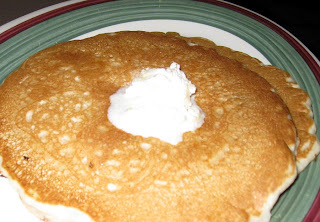 The pancakes were fantastic. Nice and fluffy, very dessert like. I just get a good feeling when I come here. The staff is very friendly and are extremely efficient. They smile and always have a fresh pot of coffee in hand. The menu has everything you could possibly want and it all tasted so fresh. I will return and if you haven't been, you should go!